This work of fiction covers the journey of Ahmad, a man fleeing Iraq during the rule of Saddam Hussein, to seek refuge in the United States. He is escaping because the Iraqi government has been torturing him for years thinking he is a CIA agent. Ironically, he faces an interesting ordeal in the hands of the United States Immigration. The US government, on the other hand, believes that he is a terrorist. While he is entering California on valid visitor B1/B2 visa, he is apprehended on immigration charges and placed in immigration custody. At this point, a new nightmare starts. The book is a very unique attempt to describe some of the important issues in immigration law including Asylum, marriage petitions, U Visas, a clear description of an immigration court case and other immigration issues. 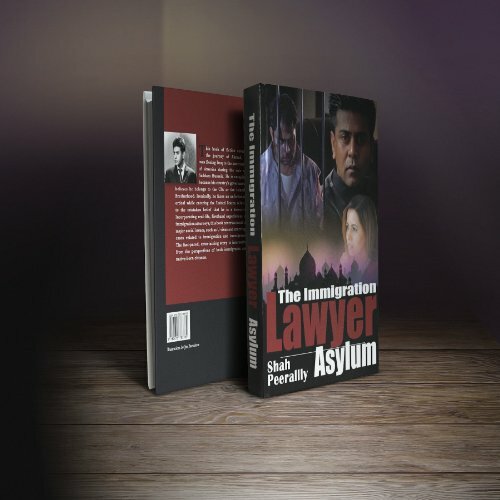 Written by Shah Peerally, an immigration lawyer , the book depicts the events inside the US Immigration court and the Department of Homeland Security. The book also echoes the sentiment of many immigrants who went through the difficult process. Moreover, the book brings to light the hate and discrimination of immigrants. Although a work of fiction, the book is a good guide on a number of immigration issues while depicting the triumph of the American justice system.